How Can You Stop Smoking That Weed? I get it, you know. Weed also makes your miserable life bright, instantaneously. All your worries, frustrations and disappointments leave you behind and all that you’re left with is all these positive emotions and feelings you never knew you could feel. But guess what? You got addicted, life went downhill, you lost a lot of things precious to you, and now you’re looking for ways to stop smoking weed. You can’t go in half assed. You have to be 100% sure and determined that you’ll go through the process of quitting weed. If you think that even 90% effort or determination can work for you, you’re wrong. This isn’t some nursery school relay where you get points for trying. No. Because there will be times when you’ll want to pick up your habit, times when your withdrawal will make you want to question your decision to quit smoking weed, times when you’ll feel you’ve reached your limit…. And it is during these times that your will power will save you. Even the slightest of hesitancy can result you spiraling back into your addiction. It’s an all or nothing game – there’s just no in between. Tapering: A lot of people opt for this method because they do not have the willpower to go cold turkey. It’s good for your body too because your withdrawal symptoms will not be as severe as when giving it all up in one go. However, the chances of relapsing are higher because you’re always in touch with your source of addiction. Cold Turkey: When it comes to how to stop smoking weed, a lot of people prefer this method because it removes temptation from their lives once and for all, thus making them a lot less likely to relapse. But people choose this option will suffer a lot in the beginning and it need great willpower and even other's help to go through it safely. Smoking cigarettes in place of weed is not going to help you. Because a) it doesn’t even feel the same, b) you’ll be destroying your lungs in the process c) It or any other drugs can never act as a replacement. It’s a very bad idea and if you really want to find a replacement, find something constructive, like working out. 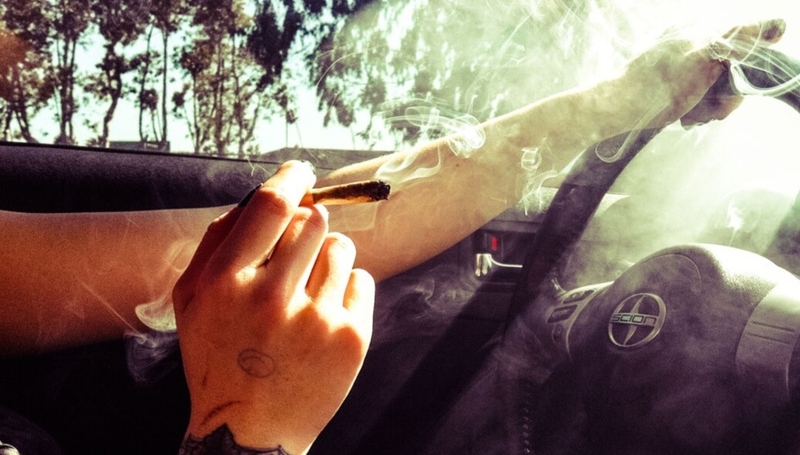 The thing about weed addiction is that it’s all in your head – literally. And if you find it difficult to control your cravings, then how about finding a distraction? Hobbies are a great way to keep yourself preoccupied, as is volunteer work. You can start a new project at home, redecorate your room, hang out more with friends, make new friends or simply start binge watching shows on Netflix. Whatever helps you keep your mind off weed in a healthy manner, go ahead and do it. You don’t need me to tell you that the more people you have who support your de-addiction, the easier it becomes for you to quit weed. Now this support system can be your friends, family, colleagues, peers or even your anonymous internet friends. Whatever works for you! Sometimes, due to various reasons, the path for how to stop smoking weed cannot be walked alone. In such cases, you will find that programs are of great use. You get to meet people like you, listen to their struggles and watch how they overcome everything in their lives, which will inspire you to even do better! Water helps flush out toxins from your body, and the quicker you can get rid of every traces of weed inside your body, the easier it becomes for your body to adapt to an environment without weed. This one goes without saying, but a lot of people often neglect this aspect of de-addiction. Join a gym, learn some judo or go play tennis with the neighborhood kids. Do whatever you can to keep yourself physically active. Not only will this help keep you in shape, but will also improve your mood. How? Well, the human body releases endorphins or the "happy hormones" when it’s expending energy, and these hormones help lift your mood instantly. If you don’t believe me, just look it up on Google. When working on how to stop smoking weed, often, you need professional help to get you through. For this, you need to have enough of a budget and time to devote yourself to such programs. Second, you need to be careful about the doctors or therapists you choose, because you don’t want to end up with a professional who doesn’t take your problem seriously, or worse, prescribes you the wrong meds, do you? Medical treatment: Even though there currently isn’t any FDA approved drugs for weed dependency, it’s still a promising field. Visiting a doctor and taking the meds they prescribe might help, but you will still need to visit a counselor. Counseling: When friends aren’t knowledgeable enough to give you the answers you seek, it’s time to look somewhere else. You can opt for a licensed clinical social worker, psychologist or a psychiatrist to deal with your addiction. They can even help you understand the underlying issues as to why you’re struggling, and help you overcome your problems. Rehab: Rehab isn’t necessary, but if everything else has failed, then this is your only option. Server responsed at: 04/25/2019 2:42 p.m.